How does a star fall? Derrick Knolane escapes to Trinidad Head most evenings, avoiding his apartment and planning for the day he’ll break free of Humboldt County. Working in a music store might be fine for a while, but it’s far from the goal he had in mind when he got his college degree. Not to mention the fact that his roommate is a jerk and his family won’t stop trying to run his life. Then Brielle falls into his world. She claims to be a star. Not from Hollywood, but from heaven. He thinks she’s crazy. Certainly delusional. Yet, he can’t just leave her alone on the cliffs. So he takes her home. And his whole world falls apart. A heartfelt and fanciful contemporary romance novella, How a Star Falls explores the uncertain season of new adulthood and shows that sometimes the worst inconveniences make for the best miracles of all. Add the audiobook version to your Goodreads shelf. 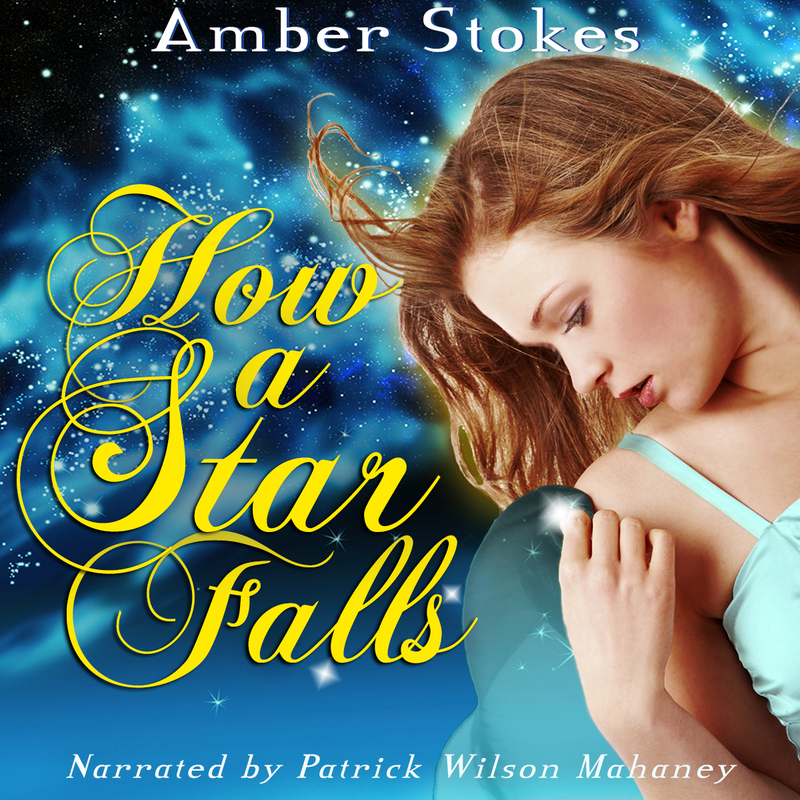 Read my review of How a Star Falls. 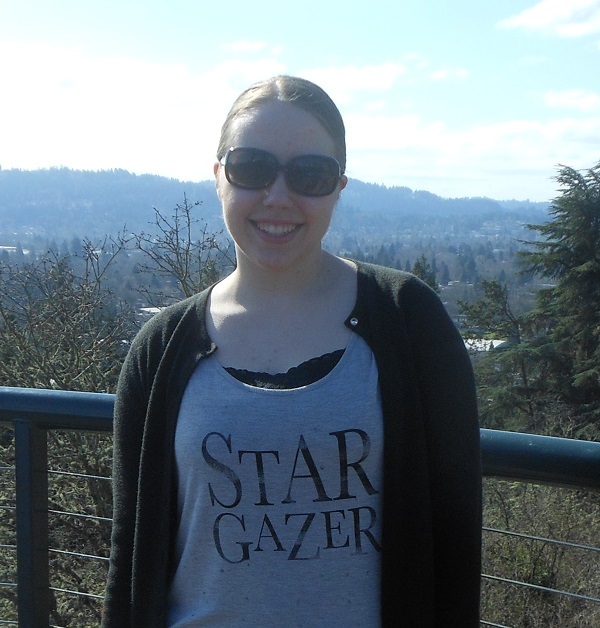 Thank you, Amber, for graciously answering a few of my questions! 1. How does a book become an audiobook? Please share a bit about the audio process. I’m sure there are many different ways to go about it, but I decided to use ACX.com, which is connected with Amazon. It’s probably only because of the way they simplify the process and provide great distribution outlets that I even attempted to get How a Star Falls published as an audiobook. The process begins by creating a profile for your book—offering a sort of “pitch,” if you will, to make your book an appealing project for narrators (or “producers,” as they’re referred to on the site). You also specify what sort of producer you’re looking for and what the tone/genre/etc. of the story is. The extent of the give and take following the producer selection likely depends on how much the author wants to be involved and how much the producer is willing to edit. The producer is required to send you a sample of the first 15 minutes, which must be approved before they can upload the rest of the audiobook. After the producer uploads the final audio files to the site (and once a cover is uploaded by the author, as well), the rest is up to ACX and their team. They’re very particular about the quality of the sound, which is great. There was a bit of a delay on our end because of that need to re-upload the files once, but then once the files are approved, it’s a pretty smooth process to seeing the audiobook available on Amazon, Audible, and iTunes. That might be way more than you cared to know, but there you go! 2. Did you choose your narrator? If so, what criteria did you use? • Willing to do a royalty share—meaning that there would be no upfront payment, but instead we would split the net royalties down the middle. • Male, as most of How a Star Falls is told from the hero’s POV. ACX offers the following filters for narrowing down a list of appropriate producers: Genre, Gender, Language, Accent, Voice Age, Vocal Style, Payments, Location, and Audible Approved. I believe I found Patrick by searching for an English-speaking, young-adult male producer who could work with romance books and was willing to split the royalties. Once I heard the samples of his voice (even though they weren’t in the exact genres I would choose), I could just imagine him conveying Derrick’s voice. 3. What was it like to hear your characters (outside your head) for the very first time? Very cool—and nerve-racking, to be honest! It was so interesting to hear a guy bringing Derrick to life. But I confess I got super nervous before listening to certain scenes, wondering how Patrick would convey them and what on earth he thought of my writing. 🙂 But I’m really pleased with how it all came together and what the response has been so far to Patrick’s interpretation of Derrick. And now it’s hard to look back on parts of the written story without hearing Patrick’s voice, LOL. 4. Do you plan to make your earlier books available in audio format? That’s a great question! I’m not entirely sure. On the one hand, I had a lot of fun with this project, and I think I’d enjoy seeing another one of my books become an audiobook. But I’ve been thinking more along the lines of working with future novellas. It’s kind of neat having shorter audiobooks, and it seems like it would be a lot easier to work with stories where there’s only one POV for most of the book. The book I would consider my gateway to appreciating the world of audiobooks is Legend by Marie Lu, a young-adult dystopian novel. That audiobook alternated between a male and female narrator, and I loved it. I’m just not sure if that’s even an option for my projects, and how complicated that might become, besides. 5. What can we look forward to next from you? The answer to this question is a little up in the air at the moment. I was hoping to release my next novella this month (Where Trains Collide), but it looks like that release date will be pushed back. I’m guessing it will still be one of my next releases within the year, Lord willing—just a bit further down the road than I had originally planned. As for other projects, I’d like to write more short stories and novelettes/novellas. For now, I enjoy working with the shorter length, and it feels more doable to balance that writing with my job and this season of my life. We’ll see how it goes! Thank you so much for hosting me and giving me the chance to share about this fun new project with your readers! 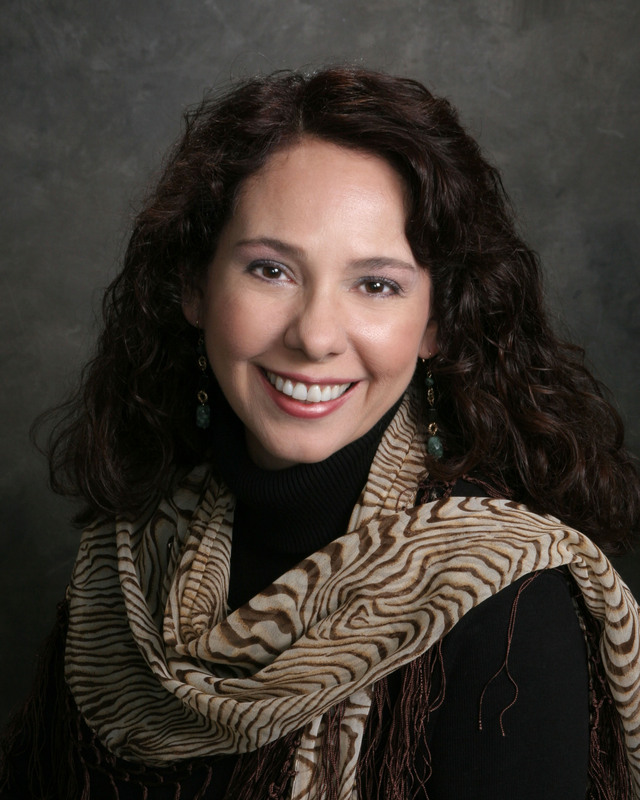 Amber Stokes works as a content writer (marketing services) for a Christian publisher. On the side, she self-publishes inspirational fiction depicting the seasons of life and love. Her passion for books compelled her to earn a bachelor’s degree in English and to run her own freelance editing and publicity business for over a year. Happily, this new chapter of her career takes place in the Pacific Northwest—a part of the world she’s always considered home. Learn more about Amber’s books at www.SeasonsofaStory.blogspot.com. Patrick Mahaney is a comedian, writer, and performer living in New York City. You can follow him on Twitter. Welcome to Buzzing About Books, Anita! 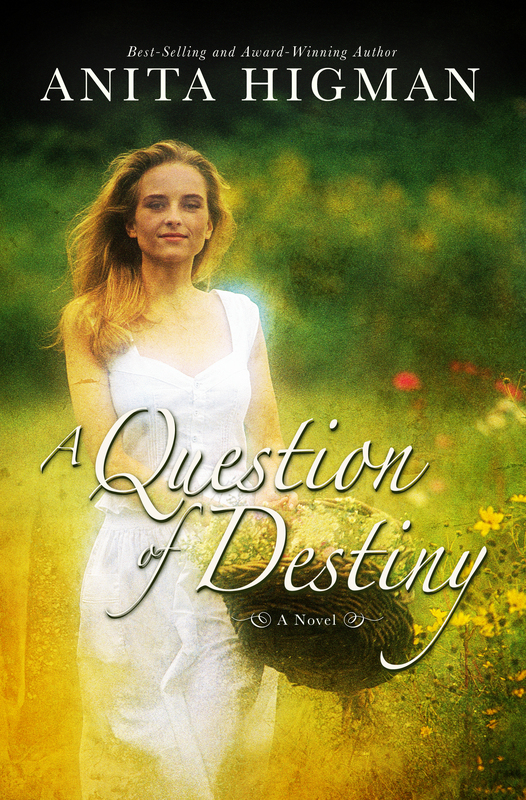 Congratulations on your recent release, A Question of Destiny! I am excited to share your interview and giveaway and appreciate your kindness and generosity. Can you tell me a little bit about your novel, A Question of Destiny? I’d be happy to. It’s basically a rags-to-riches story with a few surprises along the way. Here’s a short blurb to give you a few more details. Lucy O’Brien is about to be given ten millions dollars and a chance to live a life she never imagined. Will this new found wealth be Lucy’s undoing, or can she rise above the temptations within high society and choose to become a nobler version of herself? And will the solitary Andrew Whitfield—a man who watches over Lucy as she adapts to her new lifestyle—cause her to close the door on her dreams or be the key that opens the rest of Lucy’s destiny? I’ve always thought the rags-to-riches concept was fascinating. There’s so much ready-made conflict. Even though we’ve been told by the world that to receive a windfall would be an idyllic situation, in reality, a lot can go wrong. You can truly lose your way. In life, love, faith. Everything. Since a writer needs a lot of conflict to keep those lovely readers turning the pages, I thought this would be a good plot element to add to a love story. In A Question of Destiny you have the hero loving the city while the heroine loves the country, and it becomes a sticky point between them. Where did you get your inspiration for this conflict? I suppose both of these viewpoints are inside me. I grew up on a farm, but I now live near Houston. I love the city and the country equally, and so does my husband. So, we are building our retirement home in the country, but because of a soon-to-be-built freeway nearby, we will have access to the city. But I won’t tell you how my heroine and hero work out this intense disagreement! What is the farthest place from home you’ve ever been? Melbourne, Australia. I loved it there. It’s such a beautiful and fascinating city. So much so, I set part of a novel there, which was entitled, Winter in Full Bloom. I’d love to go back to Australia someday, but it’s expensive, and it’s a very, very long flight! Want to share one of your dreams? I would love to have one of my books made into a movie. Right now two of my novels are optioned for movies, so I’m hoping something exciting will transpire from that. How long have you known that you wanted to be a writer? Growing up I dreamed of telling stories. When I was very young I started working on a novel about a man from Mars who wanted to go to college in New York. I never finished that novel, but it left an impression on me. I knew deep down that writing was my dream, even though I didn’t get around to fulfilling it until I was in my thirties. What do you hope your readers will come away with after reading one of your novels? I would love for them to be inspired, challenged, and entertained. If I accomplish even one of those things I would feel my writing time wasn’t wasted. If you could have dinner with two well-known people, who would they be? Josh Groban, because his music inspires me and Leif Enger, because I love the way he writes. Is there something about you most people wouldn’t know? I love licorice ice cream, but it’s a rare find. Any advice for new writers? How can your readers connect with you? I would love for you to visit my website at www.anitahigman.com and connect with me through the “Contact Me” button, or you can go to my Facebook Reader Page at https://www.facebook.com/AuthorAnitaHigman. Anita has graciously offered to give away two Kindle copies of A Question of Destiny and one novel-related gift, so 3 lucky winners will be drawn. This giveaway is open to US residents only and ends Saturday, November 29 at 11:59 pm CST. Please leave a comment, including your email address. Just for fun, I would love for you to answer the following question. What is one of your dreams? Be sure and leave a comment letting me know what you have done to earn additional entries. Good luck!